*Click on active links for .mp3 sound samples. In 1987 we went into the studio to re-record John's hits so we would have music to sell from the bandstand. This is the project, remastered and available for the first time on CD. 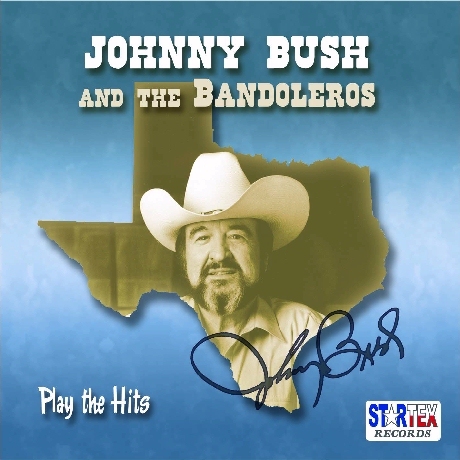 While these are not the original recordings, the hard-core Johnny Bush fan will certainly want them. If you are interested in the original recordings please visit www.johnnybush.com. Note: The bonus track, Think Of Me (When A Fool Is Talked About) was until this time unreleased and is available only on this cd! CDs are $16.00 each (Johnny Bush is $14.00), plus $3.00 shipping and handling, per order in the United States (international shipping is $5.00).